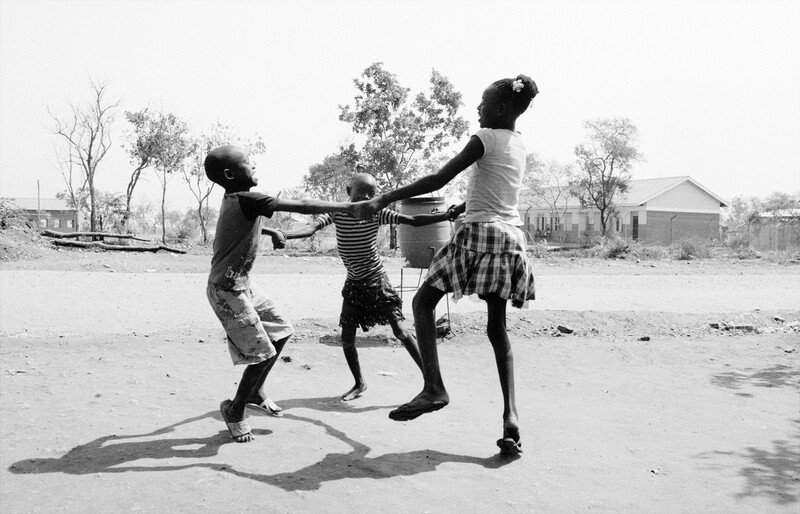 When Save the Children approached me to work with them on a project, we quickly agreed that it should be a story that documented the lives of children in different conflict zones to show how similar their stories are. Throughout my career as a photographer and writer, I’ve tried to look at war as a single issue, rather than as separate conflicts, and to focus on themes. All too often, I’ve witnessed the impact of war on children, and it makes no difference what country, continent, creed, religion or ethnicity – war and its legacy are the same. One in six children across the world are now impacted by conflict – that’s 357 million young lives. Our hope was that a series of portraits, visiting their work in three conflict zones, would together show a single face of war. Moving forward these portraits and stories will become the starting point for collaborations with artists, and new work produced. It’s important to remember that stories don't end when we leave, or hang a photograph in a gallery. The stories continue, and through these collaborations, the hope is they will continue to live as new art works. The story of children in war has been told a thousand times, but if you believe in a story, you must keep telling it, in the hope people eventually hear. 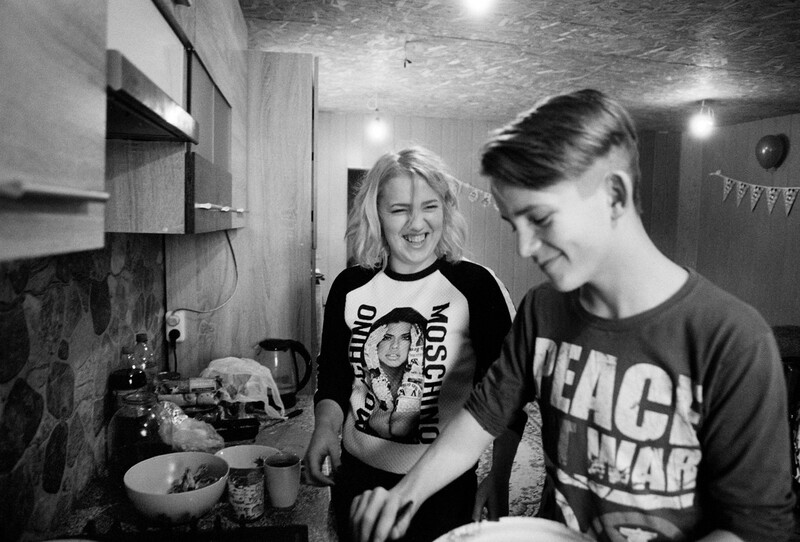 We sit eating borscht in the kitchen where Oleksander’s mother died. Whenever possible, I like to cook and share food with the families whose lives I document, for me there is no better way to build relationships and trust, than over a shared meal. Here though, in this kitchen, it feels hard to see anything other than the shadow of what happened here. Wars are not as people imagine. It is not constant action, as in films and computer games; rather, war is long periods of monotony, punctuated by extreme moments of violence. It’s those painfully long periods, where little happens, that wear people’s spirits down: isolation, lives on hold, no work, limited choices, scarce food, and the persistent fear. Living in a war zone is a long, slow death; a torture of the soul. Yet, remarkably, life does go on. You will hear laughter stirred from dark humour, you witness weddings and birthdays, build close friendships, and feel what it is to be alive. And in this world that lies so close to death, it is often food that brings most joy. From Afghanistan to Colombia, Iraq to Angola, I have sat and shared meals with families in the most desperate of situations. In those moments, there is a short escape from reality. When I arrived at Oleksander’s house, at the end of a deserted street, the snow was deep, the air clear, and occasionally in the distance we could hear the sound of shelling. Ukraine’s winters are famously harsh, and we had struggled to even reach the virtually isolated town of Avdiivka, which lies in the Donbass region, right on the contact line with separatist forces. For many years, Ukraine had been divided between those who wanted closer ties with Russia, and those that were looking to the west, with aspirations of joining the European Union. That divide was to split the country, leading to the Ukrainian Revolution in 2014, when the pro-Europe faction overthrew the Russian-leaning Ukrainian President Viktor Yanukovych. Donbass, which borders Russia, is inhabited by a mix of Russian-speaking and Ukrainian-speaking people. The events in Kiev quickly led to violence in Donbass. A conflict broke out in Donetsk and Luhansk regions, leading to the self-proclamation of two so-called “republics” creating a line of contact where most of the fighting still takes place and that separates Government Controlled Areas from Non-Government Controlled Areas. The fighting was intense, and since 2014 the conflict has cost over 10,000 lives. It’s also badly damaged the region’s infrastructure, particularly affecting schools and hospitals. Although there have been numerous ceasefire agreements, there is still fighting almost every single day, affecting the lives of the children and families living in this forgotten region. It is against this backdrop that Oleksander tries to live the life of a normal teenager. He lives with his older brother Yegor, his wife Daria and their young child Ivan. This is the second time I have visited, and as promised I have arrived with an overfilled bag containing all the ingredients for cooking borscht, a traditional Ukrainian beetroot soup. The day is spent cooking, chatting, sharing stories. Oleksander, is a little quiet, a little shy, but he opens up when we talk of music and his favourite rapper, Oxxxymiron. A Russian whose battle raps have been watched by millions around the world, Oxxxymiron is a favourite for many of the kids living here. I ask Oleksander if the music helps him forget the situation, he shrugs his shoulders and replies, “No, I just like it”. His life is like that of most teenagers. In the summer, he meets his friends in the park to just hang out. In the winter, they visit each other to play computer games and listen to music. The Save the Children team in Avdiivka run after school classes that give children respite, and they offer psychological support to Oleksander and other children affected by the fighting. Schools on both sides of the line of contact which separates the combatants have been hit, and many remain too damaged to reopen. It’s estimated that over 700 schools have been damaged or destroyed by the fighting. 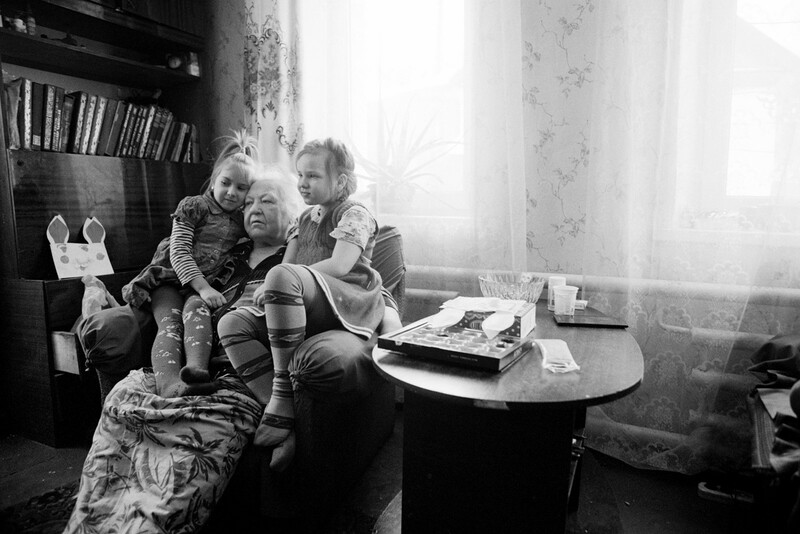 There is no child in this part of Ukraine that has not had their life impacted. 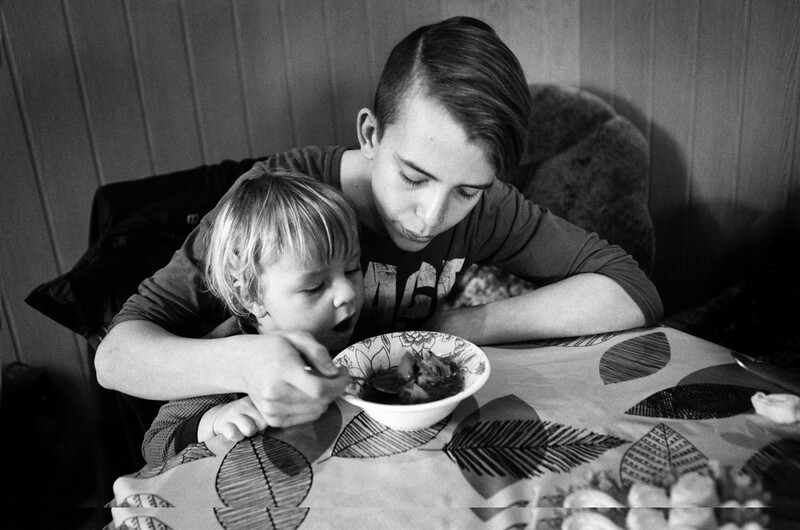 We continue to eat; Ivan is sat on Oleksander, who shares his soup with him. Daria tells me about the party she is planning for her birthday. There is nothing strange or different from any family sharing a meal – just occasionally, we hear a shell explode in the distance. This always sparks a short debate about how far away it was. The air is cold today, sound travels further, it’s decided it was long way off. As we finish, Yegor gets up to clear the plates and Daria takes Ivan to his room. Oleksander looks at me and says he’d like to tell me his story now. Oleksander remembers the morning of Thursday January 15, 2015, with an almost forensic detail. The family had been sat around the table in the kitchen sharing breakfast, chatting. Daria had stayed over the night before, when she got up to leave Yegor had offered to walk her home. It was snowing outside. His father left to do some work, his mother started preparing some food for later. Oleksander sat there for a while, then, bored, he went to his bedroom to play on a computer game. It was 10am. The next he remembers is a huge explosion. Disorientated, he stumbled back into the kitchen. A shell, or possibly a grad rocket, had hit the kitchen. The roof had been blown off completely, part of the wall was missing. In the middle of what had been the kitchen laid Oleksander’s mother. A small piece of shrapnel had pierced her heart. She’d been killed instantly. Now, he wants out of the city and its memories. In his words, it is dead to him. In a couple of years, maybe university, maybe a career in music. Oleksander says his goodbyes, gets up and goes back into his room. I chat for a while with his brother, then it’s time to leave. It gets dark early here; the roads freeze and become impassable. As I put my many layers of jumpers and coats, I turn and see Oleksander sat in his room listening to music; his headphones on, his eyes closed. The world’s newest country, South Sudan, is split between two men who seemingly would rather see their fledgling country and its people die than compromise. The country has been wracked by violence and instability since its founding in 2011. The civil war, which began in December 2013, has pushed the country further into a state of emergency. The instability has worsened the impact of famine, and has led to the displacement of nearly four million people, two million of whom have sought safety as refugees in neighbouring countries. Many of these have found sanctuary in Uganda, with over one million South Sudanese now in the country. Many of those live in the area around Arua, a rocky, sun-parched patch of land where trees and shade are scarce. The ground is dry, and as lorries drive through the settlements, they raise choking clouds of red dust that cover the tents and refugees’ scant belongings. It’s not a place people would choose to live, but for the South Sudanese refugees, for now, this is now home. 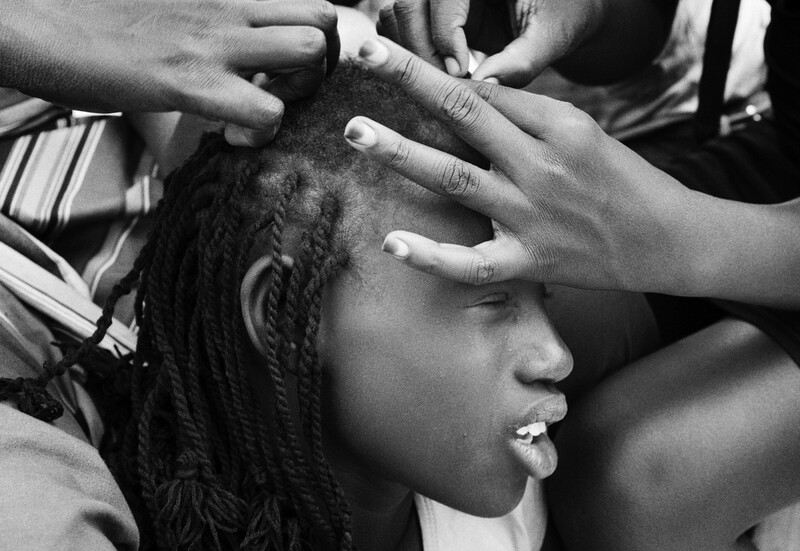 Josephine sits on the floor as her friends braid her hair. As they chat, a young boy walking by tries to catch their attention, looking back at them he loses his footing on the dirt road and stumbles. They laugh, and go back to work on Josephine’s hair. As a young student, I remember seeing photos and footage of the stark ruins of Stalingrad and Berlin, both destroyed during World War Two. They seemed like monoliths to a past time, of total war. I never imagined this would be something I’d see in my lifetime, or that I’d be documenting the same scenes 70 years later. To this day, nobody knows exactly how many were killed in the fighting, but thousands died. In March 2018, when I visit the city, they are still collecting bodies. Many buried under the rubble may never be found. What is clear when you speak to anybody who was in the city during the fighting is that no family was spared. We drive for miles, through street after street of destroyed buildings. I look from the car window, dumbfounded by the scale of destruction. After over a decade of reporting on conflicts, I have never seen anything on this scale. My first visit is to meet the Save the Children team based in Mosul. Through my work, I have been privileged to meet many dedicated and passionate people working for charities, but none have moved me as much as the mostly local team in Mosul. It’s hard to imagine how hard life had been for them in the years under ISIS, especially for the women. Now, they have one dream, to rebuild their city – and more importantly, to rebuild the lives of the children that live there. The scale of everything in Mosul is overwhelming; there are so many lives and families that have been destroyed. Like Karim’s. Karim lives with his elderly grandmother, Laila, and his three siblings, Lama, 12, Sari, eight, and Rami, four, in what was a thriving suburb of Mosul. Now, there is hardly a building that's not damaged, the roads cratered and filled with water from the smashed sewers and water pipes. Inside the house, the blackened walls still smell of smoke, all possessions are destroyed, and a smell of death still haunts the air. Though only 14, Karim carries the burden of being the sole provider for his family. He is strong, stoic and bears responsibility far beyond his age. His grandmother is frail; an uncle lives with them too, but he has epilepsy and failing kidneys. 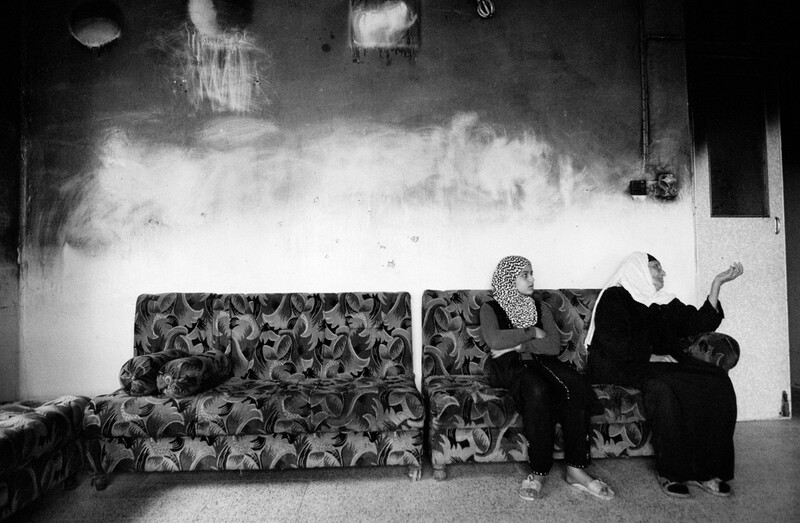 After years of oppressive, brutal ISIS control, the family waited for the liberation of their city. When that liberation came, it was to destroy the family. As the fighting raged around them, the family sheltered in the basement; for four months, they survived on potatoes and bulgur wheat. One day, Karim’s father went to the roof to collect water, as by then all utilities had ceased to work. As he collected water from the tank, he was killed by a missile strike. Two days later, a mortar shell exploded in the garden, killing the grandfather. Karim was outside in the street – he ran back to the house to get help, and dragged his grandfather’s body into the house. Inside, he found shrapnel from the mortar shell had also hit his mother. Under virtual siege by the fighting, they were unable to get help. Wounded in the stomach, Karim’s mother died later that day. The family pointed to the still blood-stained kitchen floor. A few days later, a bomb hit the house next door, and the resulting fire spread. Soon, their house was also ablaze, destroying the furniture and what possessions they had. Now, Karim must work as a porter to feed the family; his younger sister Lama stays at home to cook and clean. They both accept their fate, and both tell me how they will do whatever it takes to support what remains of their family and make sure their two younger siblings get an education. 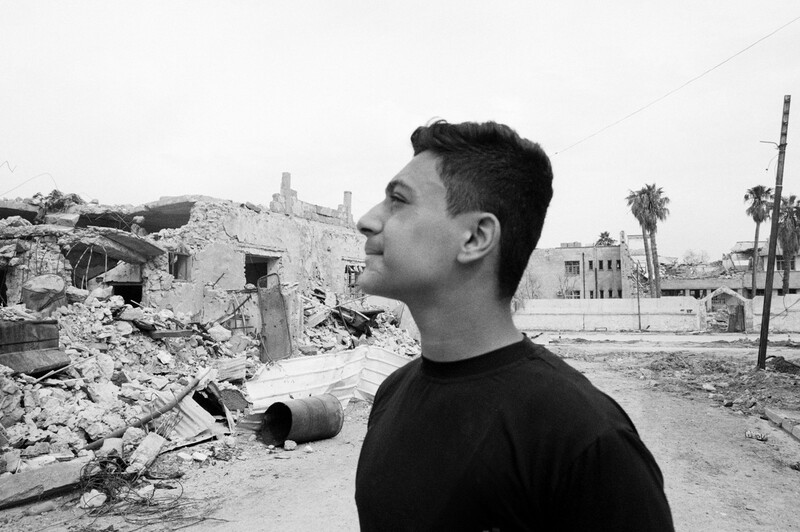 For them, like thousands of others in this city, their childhood is already over, cut short by war. We sit in the blackened room listening to these stories in silence. How do you respond to such loss and horror? I think back to Oleksander, two families thousands of miles apart who witnessed their mothers dying in the heart of their homes. A few days later, I come back to visit the family one last time. We cook together, then sit to eat in the blackened kitchen. For a moment, there are smiles and laughter, and Karim and Lama are children again. But soon, that moment of light fades; for this house, like this city, is a place of ghosts. Some stories impact you more than others and none more so than Yasmine’s. When I met her, she was in the final stages of cancer, her 11-year-old body fading, but her eyes were still so bright. They’d first discovered her cancer when she was four years old; after treatment, it seemed she’d recovered. For the next few years, she was able to live a normal life. Then in 2014, the cancer returned, but things were different now – ISIS was in control of the city. ISIS denied healthcare to most, and even when you could get to a hospital, supplies were dwindling and most specialist doctors were in hiding or had left the city. “My father once took me to the paramedic,” Yasmine told me, “but Daesh (ISIS) stopped us and said take her to the mosque instead.” During the fight for the city, many hospitals were destroyed, so even when ISIS control ended, Yasmine still couldn’t get treatment. When finally they were able to get her to a hospital, set up by an NGO after the battle for the city, they discovered the cancer had spread, meaning they had to amputate her leg at the hip. Even then she was not scared, insisting on signing the consent for the operation herself. On my second visit to the family, I brought some nail polish. Her mother had told me it was something she loved to do, now ISIS was gone. After she’d painted her own nails, I jokingly asked her to do mine. With patience, she did each nail, despite her constant struggle to breathe. Yasmine was so strong and determined in every action, but war had robbed her of her treatment and the chance of recovering from cancer. 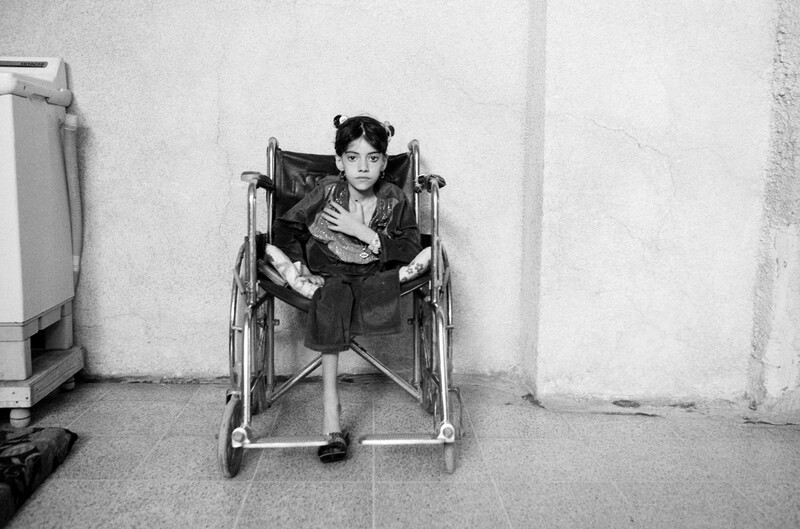 War is not just about the injuries from guns and shells – for children it’s also about losing homes, education, and in Yasmine’s case, access to healthcare. A few weeks after last seeing Yasmine I received the news she had passed away. Her family still wanted us to share her story, in her memory. What is the face of war? For me it is is not glory, it is not films or games, it is not heroic or brave. War is the ugliest most vile of acts; its long shadow watches the slow suffering of millions. Working on this story, I have met some incredible, funny, resilient and strong children. But they are part of a generation of children who have seen and witnessed things nobody should. In Ukraine, Afghanistan, Yemen, Iraq, Syria, South Sudan and many other countries, children are growing up against the backdrop of protracted, brutal conflicts that target civilians. With civilians increasingly targeted, children, more than ever, are bearing the brunt of war. Raped, tortured, forced to fight, left with physical injuries and psychological scars, children have had to witness their schools destroyed, be forced from homes, and live in constant fear. The rules of war designed to protect children are regularly broken, and the international community seems to have accepted the bombing of civilian areas, schools and hospitals as a norm in modern conflict; children are simply victims to the sickening phrase ‘collateral damage’. There is now little, if anything, shielding children from the worst of humanity. Josephine, Oleksander, Karim and the others do not want our sympathy. They do not want us to feel sorry for them or pity them. They ask for our support and our solidarity. These may be the children of parents born in countries we do not know or understand, but they are no different to our own. A child must be protected, and given every opportunity to grow in a stable and supportive environment. Save the Children is on the ground providing lifesaving care to children in some of the toughest places to be a child. 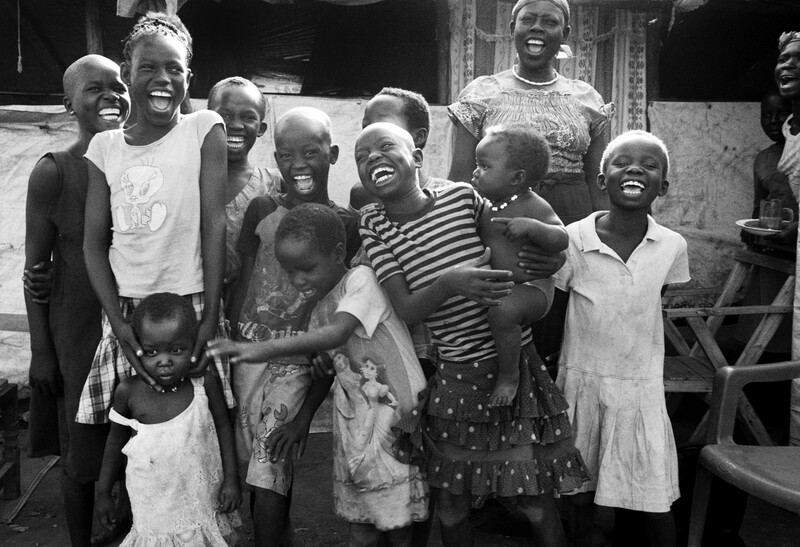 We can’t change the past of these children, but together we can build a brighter future. You can support their Protecting Children in Conflict campaign here. Every child in this piece has been supported by Save the Children. Save the Children stand side by side with children in the toughest places to be a child. We do whatever it takes to make sure they survive, get protection when they’re in danger, and have the chance to learn. Together, we fight for children every single day. Because every child should be able to make their mark on their world, and help to build a better future.